– the first tablet with Intel RealSense Snapshot Depth camera, which captures a depth map for every picture taken and stores the data in standard JPG. 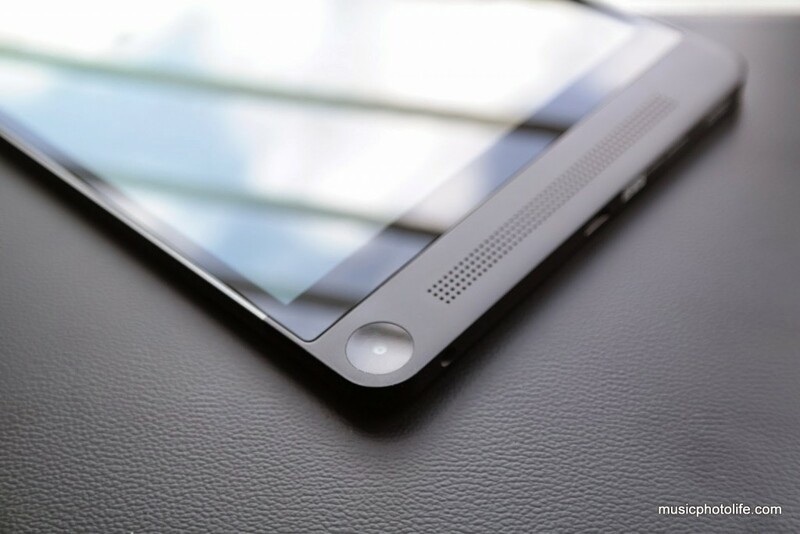 The new Venue 8 7000 series feels amazingly thin, lightweight and solid on your hand with soft edges and corners. The 8.4-inch display is maximised to the edges, resulting in generous screen size in a compact package. I have no problems holding the Venue 8 edge to edge. The screen is sharp and colours appear vibrant, with slight discolouration when viewing at an angle, a characteristic of OLED panels. The stereo speakers are located at the bottom facing the front. 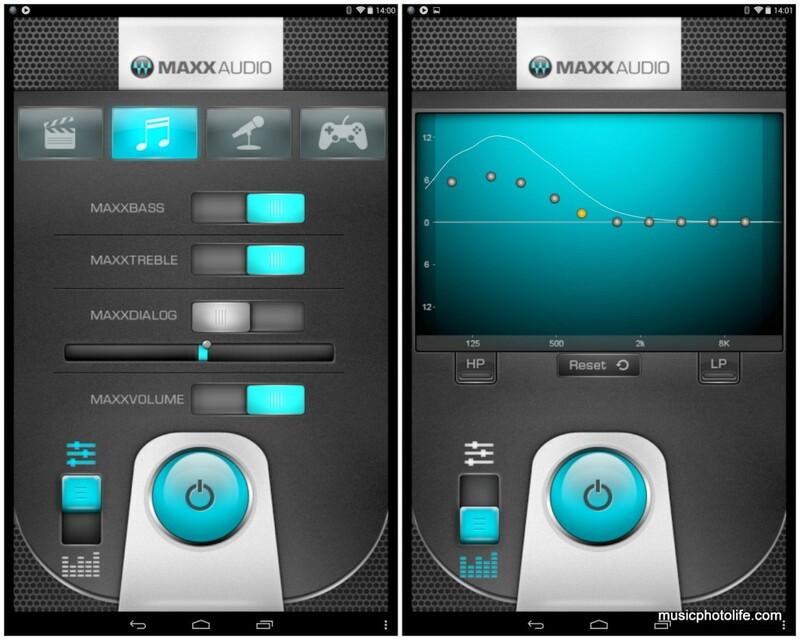 Powered by MaxxAudio, the speakers deliver good treble clarity and volume for a tablet. I am able to tweak the equalizer to improve on the midtone and upper-bass ranges, giving the sound more warmth. The Venue 8 contains the most number of cameras in a single Android device – 4 to be exact. 3 are positioned at the rear for depth mapping, and 1 facing the front for normal photography. The positioning of the cameras results in some awkward handling of the Venue 8: they are strangely positioned at the lower part of the tablet, so using them at portrait mode is unfathomable. It seems Dell purposefully wanted the consumer to shoot at landscape mode, for the screen is force-oriented as such during shooting mode. 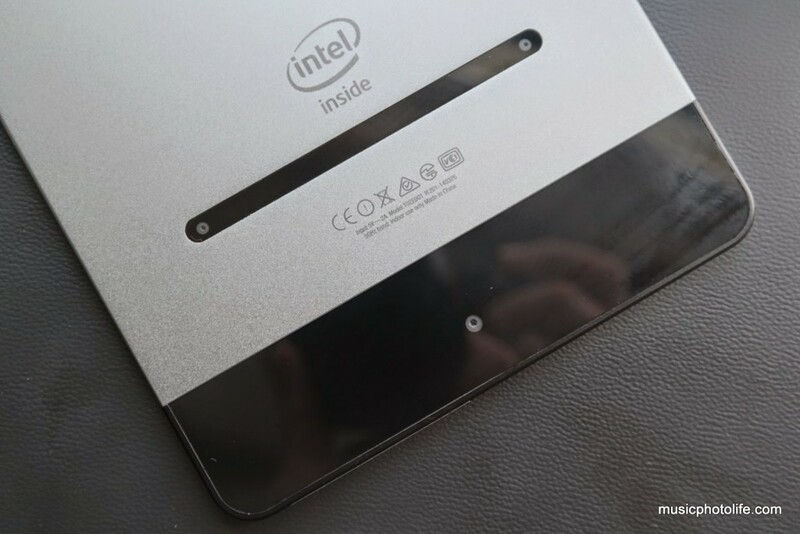 To ensure I do not cover any of the 3 depth-sensing cameras, I have to hold the edges of the tablet. The camera produces lacklustre images, grainy and lacks sharpness. However, the star feature is the ability to measure the length and area from images taken with the Venue 8. I did a test by shooting a 6-inch ruler around my house, and I have to say that it is pretty accurate, though there are instances when the measurement is off. I was not able to test distant structures since I would not be able to verify personally. On the whole, I would say the RealSense Snapshot Depth works as designed, but I would not count on it for critical use, e.g. house renovation. 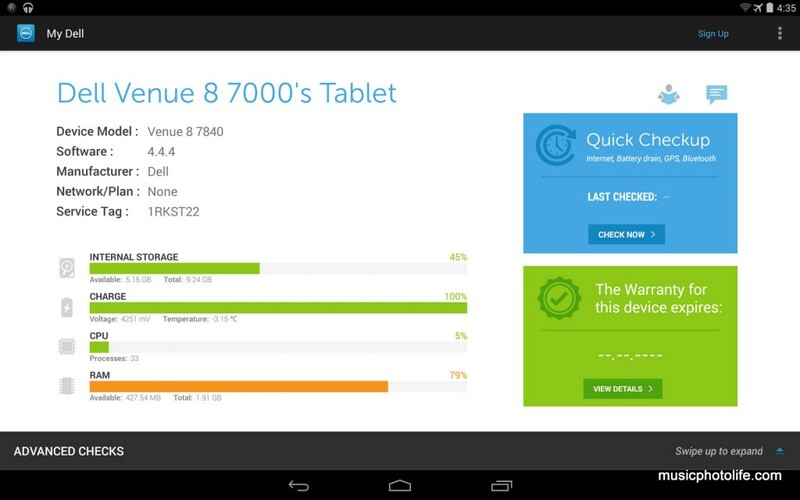 The Venue 8 user interface largely follows the stock Android 4.4, and there are minimal pre-installed apps other than a few Dell-branded apps. My Dell app is a one-stop platform to check your system status, contact online support. 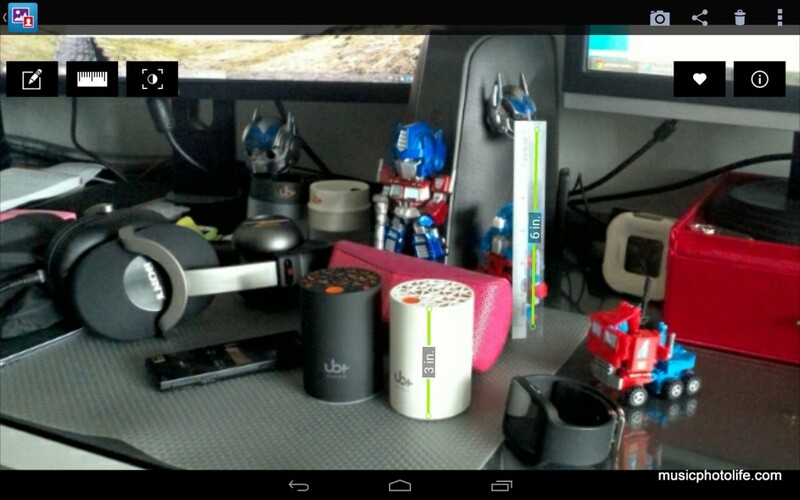 MaxxAudio app runs persistently with notification icon. McAfee Security app is pre-installed with a 30-day trial upon activation. I was not impressed with the pre-installed apps that make use of the depth information, and Dell advises that more apps will be released to Venue 8 owners for download. 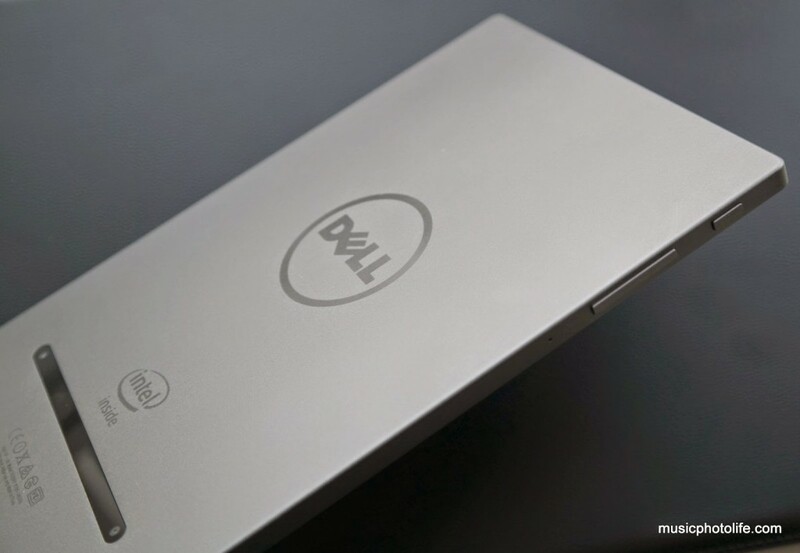 As a tablet, the Dell Venue 8 is impressive. It is small, compact, thin, well-built, has good-sounding front-facing speakers, brilliant high-resolution display. There is also a companion Keyboard Folio of the same size where you can fold up neatly, so in that aspect, the Venue 8 pulls off as a stylish device in the business environment. The Intel RealSense Snapshot is still at its infancy, and I don’t see this feature as a deal-breaker for Venue 8. Currently, the Wi-Fi version is on sale in Singapore for S$659, with an additional $50 for the Keyboard Folio.